The Rev'It! Moto have clearly been inspired by old school leather motorcycle trousers. Leather trousers aren't everyone's cup of tea though, and you probably won't be wearing them walking around the office. That's where the Moto Jean comes in: it has been constructed from Revit's high spec Cordura® denim to create a four-way stretch outer layer. 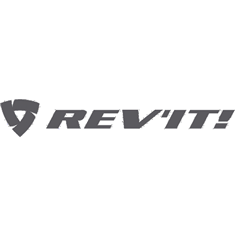 In addition to that, Revit have incorporated a ribbed stretch panel above the knee to allow for even more flexibility and comfort when tucked in on the bike. Style: tick. Comfort: tick. What about safety? A big fat tick in that box too: the Moto Jean comes equipped with Rev'it's award winning SEESMART armour in the knees. It's some of the slimmest armour in the business and maximises the off-the-bike wearability of the jeans while absorbing the impact should it present itself. The Cordura denim outer layer provides excellent abrasion resistance and is backed up Rev'it's PWR shield in key areas - all this whilst retaining the look and feel of regular denim jeans. Sizing for the Revit Moto Jeans as verified by the Urban Rider team. Take your favourite trousers, lay them flat and compare them to our measurements of the Revit Moto Jeans below.